Got dry, parched skin? Even in warmer months? I don’t envy you. Except when you’re using Flight Skincare’s Camellia Face Treatment. 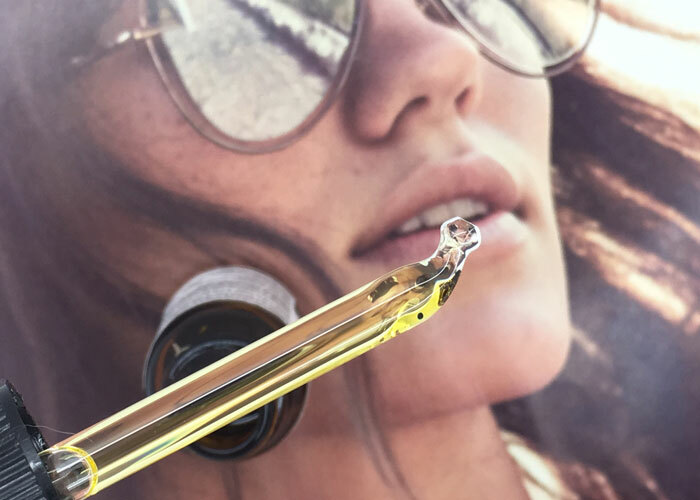 This deeply nourishing, healing face oil is made with just seven ingredients designed to give your dehydrated skin the lucky break it needs. Dense, luxurious macadamia nut, sweet almond, camellia and avocado oils protect dry skin, sealing in moisture over your favorite hydrating creams. Flight says the formula, which has a medium-dense weight, helps calm inflammation, redness and sensitivity. I liked using this oil in colder weather, particularly on flaky spots, to give my skin a little boost of skin-soothing goodness. It only took two small drops to do the job on my combination / oily skin. 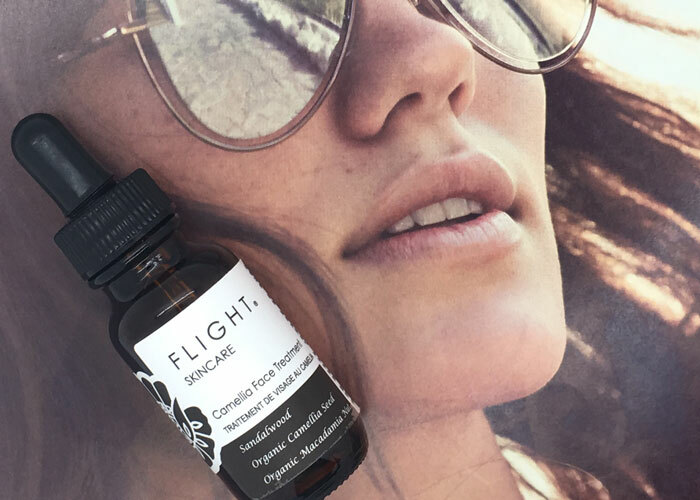 Along with its skin-softening benefits, Flight Skincare’s Camellia Face Treatment induces a feeling of beauty and calm thanks to the inclusion of neroli, lavender and sandalwood. I love when citrus and floral scents are grounded a bit with a light, woody scent, and this concoction gets my nose’s nod of approval. One thing to point out about this formula is the order of the ingredients. For a product that shines camellia seed oil into its namesake, it’s ingredient number three (instead of number one or even number two). Not a huge deal, really, as there’s very few ingredients overall, but something to remember in general when researching skincare line: Look at the ingredients list, not the name or marketing copy. Another thing to consider: If you’re oily, acne-prone or new to oils, consider spot-testing this formula (or its respective carrier oils) first to ensure your skin doesn’t react. These oils are higher in oleic acid and are meant for soothing very dry skin. Have no idea what I’m talking about? See Minimalist Beauty’s popular post about oleic and linoleic acids! All in all, Flight Skincare’s Camellia Face Treatment is a beautiful, clean formula that’s wonderful for very dry skin or for spot-treating dry patches. I prefer this oil, mixed with Flight’s Floating Hydration Serum, during cold Kansas City winters, but absolutely recommend it to anyone in need of a luxurious yet simple oil treatment. What oils do you reserve for colder weather? For warmer weather? Have you tried anything from Flight Skincare? Tell me in the comments section!